Sound the Alarms, it’s a Restock Alert! Well Ottawa you spoke and we listened! 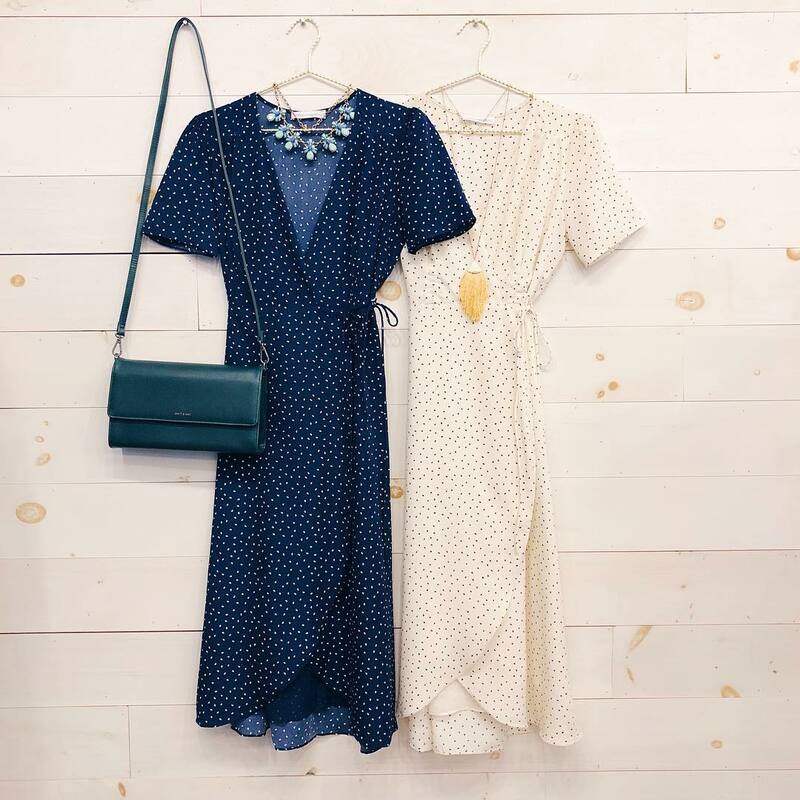 Back by popular demand is the always elegant, one-of-a-kind staple dress from Moon Meadow. Built for a flattering wrap style bodice, this must have piece features a flirty V-neckline, cascading layered open front and adorable speckled pattern throughout that’s having us all channel our inner Marilyn Monroe. Pair yours with a yellow clutch and pendant necklace for a great night on the town look! This entry was posted on Wednesday, January 16th, 2019 at 7:27 pm	and is filed under Roadtrip - Ottawa Byward Market. You can follow any responses to this entry through the RSS 2.0 feed.